Fundamentals drive the stock market. Fundamental analysis book summaries identifies some of the best books I have read in this area. I have indicated the main reason you may want to add these books to your library. Below are four book summaries that review ways in which to incorporate fundamental analysis into your stock market investment and trading decisions. Investor Al Frank's newsletter, The Prudent Speculator, had one of the better stock picking track records according to The Hubert Financial Digest. Eventually, a mutual fund was started using the strategies outlined in the book. Al Frank, who was primarily a value investor, discusses his philosophies and trading ideas. In Beating the Street, a national bestseller, Peter Lynch talks about how he managed and bought stocks for one of the largest mutual funds in the United States. Lynch was on the lookout for stocks with great ideas and franchise potential. He was looking for the "10 bagger" and was a value investor. From this book, I received information which has steered me away from purchasing bonds in favor of dividend paying stocks. Peter has made a great argument for never buying bonds because they generally do not increase the rate at which they pay out. This classic value investing book, published in 1949, is still recommended today. The Intelligent Investor is for people looking to slowly build a portfolio of quality stocks. This New York Times bestseller, with a foreword by Peter Lynch, discusses the strategies Warren Buffett uses in identifying and purchasing stocks to hold for the long term. 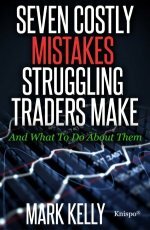 Hagstrom offers some good insights into the differences between a trader and an investor. While fundamental analysis drives the market, that is, stocks need a fundamental reason to go up, technical analysis can help you identify when there is a change in the fundamentals. To improve your understanding of the difference between technical vs. fundamental analysis you may want to learn a bit more about technical analysis. To obtain up to date fundamental analysis book summaries you may want to read some of the trading magazines discussed on this website.